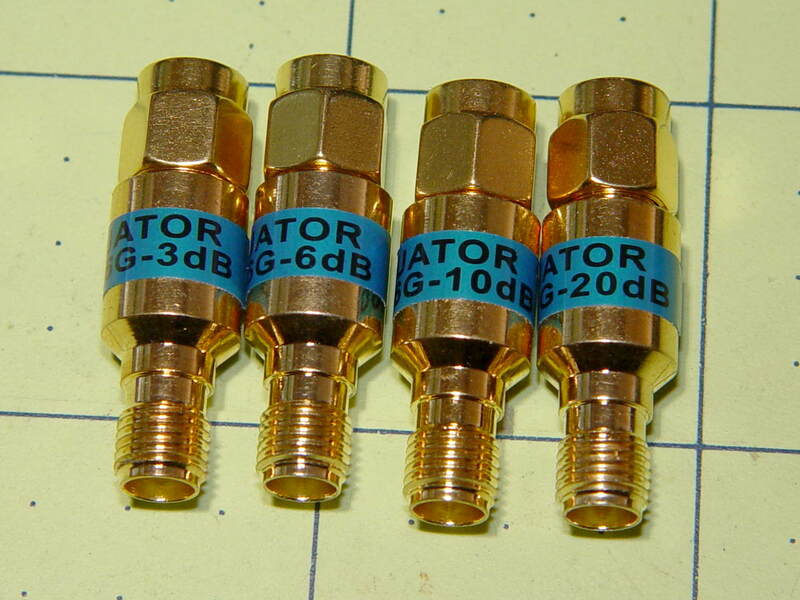 The top line has ATTENUATOR wrapped around the body. 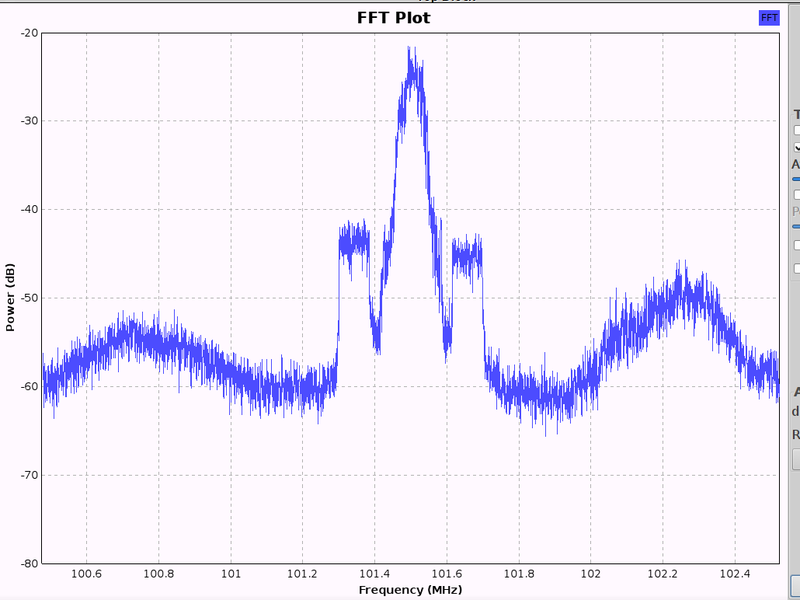 They’re rated for 2 W = +33 dBm, suitable for antennas and SDR and suchlike, not real radios or even HTs. 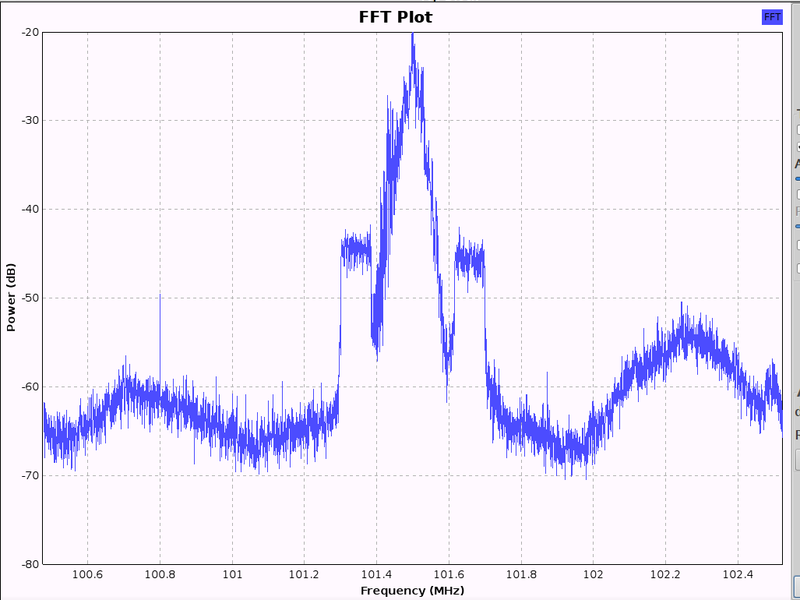 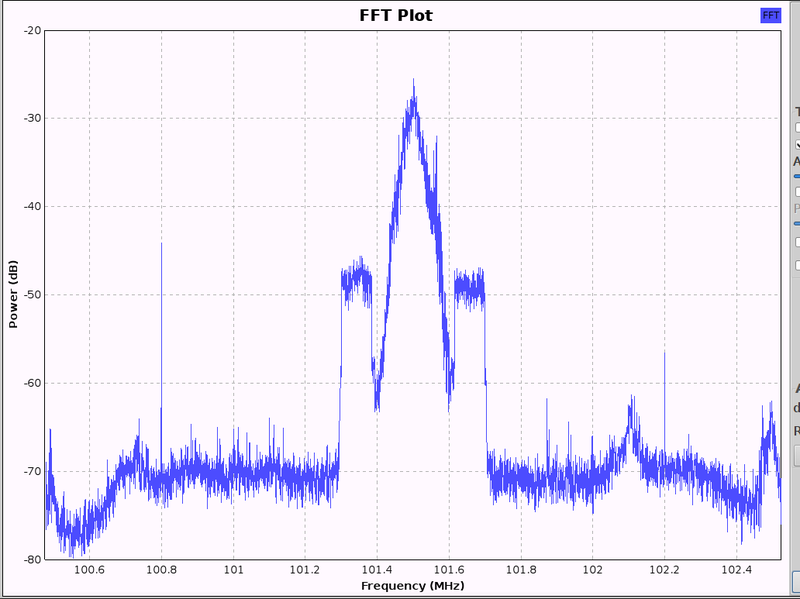 Sweeping them on the spectrum analyzer shows they’re doing what they claim, to within the resolution of the analyzer, and remain flat through 1.5 GHz, where my cheap N-to-SMA adapter cables roll off by 3 dB. 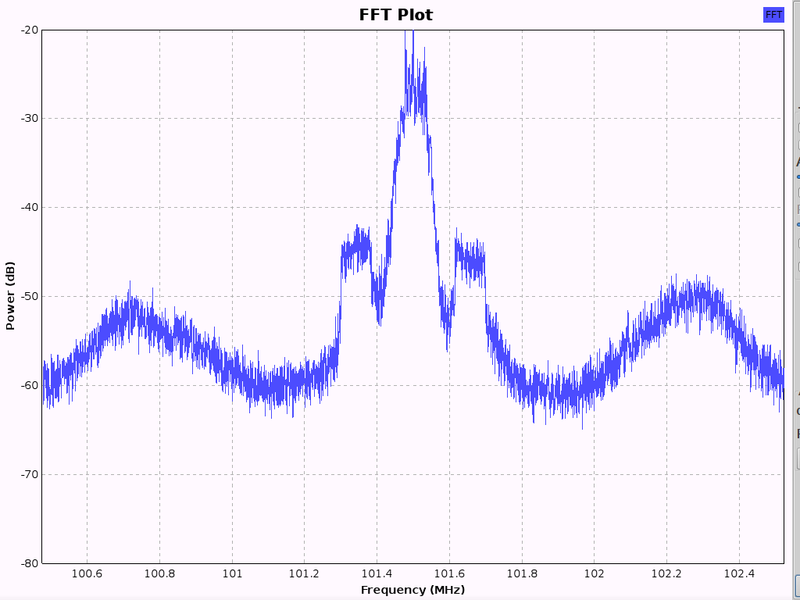 Stacking them produces 38 dB of attenuation, which is certainly the small difference of large values and fine for my simple needs. 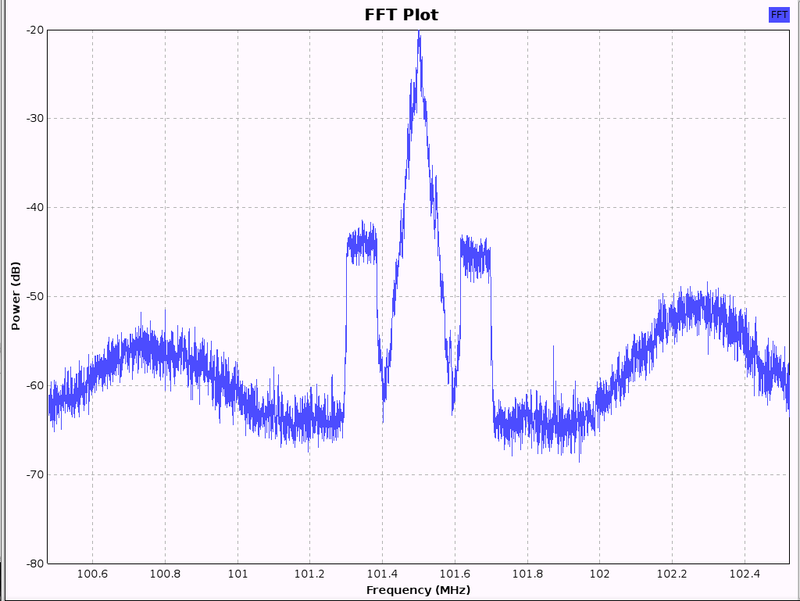 Conversely, a quick test with a NooElec SDR shows plenty of hocus-pocus betwixt antenna and display: the RF doesn’t attenuate nearly the way you’d (well, I’d) expect.